The very first thing that parents need to do when they allow their child to have a cell phone or other mobile device is to talk to them about the potential dangers of the internet, as well as the importance of protecting their privacy. 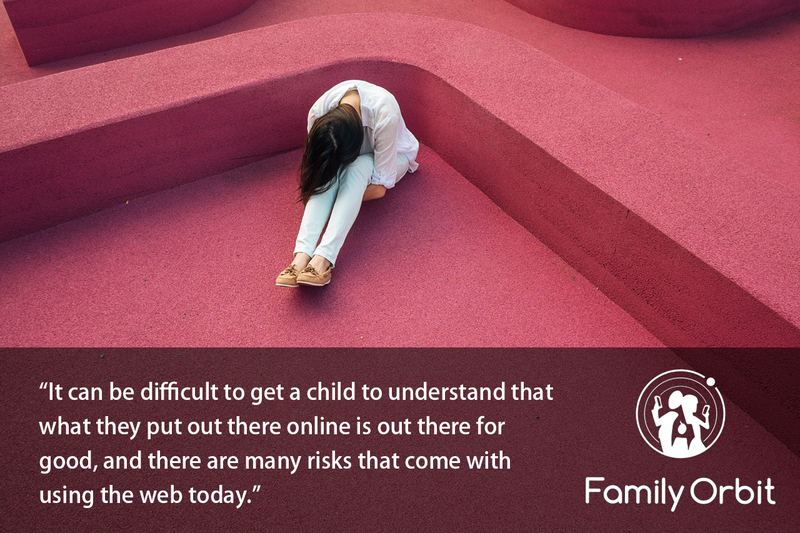 It can be difficult to get a child or a teen to understand that what they put out there online is out there for good, and there are many risks that come with using the web today. Talk to your teen about the type of responsible behavior that you expect them to engage in when using the Internet, and let them know that there are consequences for not following the ground rules that you put in place. As a parent, you’re likely paying the bill for your teen’s cell phone and internet usage, so you should also feel comfortable monitoring their activity. Set up parental controls and use apps like Family Orbit that will allow you to see where your child is, who they’re communicating with, and the images and content that they’re sharing and receiving. You should not feel guilty about wanting to make sure that your child is staying safe and smart on the web. It isn’t about invading their privacy, but rather about protecting them. Once they’re online reputation is damaged in some way, it can be extremely difficult to repair the damage that’s been done. In addition to monitoring your teen’s activity on their mobile devices, take the time to check in on their social media profiles. See what photos and information they’re sharing publicly, and make sure that they have the proper privacy settings enabled to ensure their social media safety. Ask them for their social media account names so that they know you’ll be able to see what they post and share. Many teens share their passwords with friends, and this can have serious consequences. As a parent, you need to impress upon your teen that their password needs to stay private. Only they (and you) should have access to their personal accounts. It’s up to parents to be good role models for their kids, and this applies to the internet, as well. Parents should spend just as much time and effort making sure that their digital footprint is a positive one. Only share appropriate content and photos on social media sites, and avoid engaging in bad behavior on the web. Parents can help their teens protect their online reputation by following this simple advice. It’s important to talk with them often, and to check in with their activity on a regular basis. While they may not appreciate it at the time, they will both understand and appreciate it in the long term.